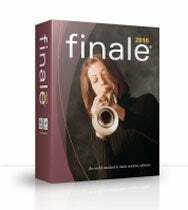 MakeMusic has announced Finale 2010, the latest version of its music notation software. The new version simplifies the process of getting notes on percussion staves to look and play the way you want; includes more than 350 instrument sounds from the makers of Garritan Personal Orchestra; adds the Broadway Copyist font; lets you change or delete notes without changing chords; and adds the ability to export as JPEG and PNG files, as well as import JPEG, PNG, BMP, and GIF files. The Mac version of Finale 2010 requires a PowerPC G4 processor or better (including Intel Macs) with 512MB of RAM and OS X 10.4 or 10.5. MakeMusic expects to ship Finale 2010 soon, but didn’t give a firm date. Verbatim introduced a trio of input devices on Thursday, including a keyboard that’s integrated with iTunes and a pair of wireless mice. The $70 Tuneboard Speaker Keyboard features multimedia keys for muting, volume adjustment, and playing, pausing, and controlling tracks. Two hot keys control enhanced bass and keyboard backlighting. The speaker keyboard also comes with a built-in mini microphone and headphone and mic connection. 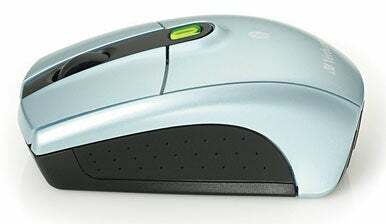 The $40 Bluetooth Notebook Laser Mouse features a metallic ice blue finish and a programmable scroll button. It also features a tilt wheel for four-way scrolling a three-setting speed control. Thursby Software extended its ADmitMac line of software for Mac users in enterprise or workgroup environments based on Microsoft Active Directory with a new product announced Thursday to deal with government security requirements. ADmitMac for PIV integrates U.S. Government Personal Identity Verification (PIV) cards with Macs. PIV cards are required under federal mandates for creating a common identification standard for federal employees and contractors. Thursby’s application offers a single sign-on environment, verifying a PIV card against a centralized network authority. ADmitMac for PIV includes Thursby’s SMB/CIFS implementation for bidirectional file and print sharing with Microsoft networks, including support for Microsoft’s Distributed File System. Entourage 2004 users can gain the ability to access e-mail using their PIV cards with ADmitMac for PIV. Thursby also offers an enterprise version of ADmitMac for PIV that includes an ADmitMac Deployment Utility for simplified deployment to multiple Macs. It also includes an AD Commander for managing Active Directory settings from a Mac.